Global mining company BHP, Japanese shipping company NYK, leading sustainable biofuel company GoodFuels and BLOC (Blockchain Labs for Open Collaboration) the leading developer of blockchain applications for the maritime industry, announced the successful delivery of sustainable biofuels to the BHP-chartered, NYK-owned bulk carrier Frontier Sky, with CO2 savings verified with BLOC’s blockchain fuels assurance platform. 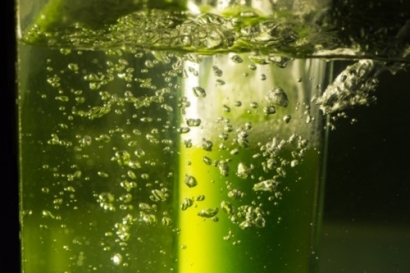 The advanced biofuel, supplied by GoodFuels via logistics partner Varo Energy, is a ‘drop-in’ marine gasoil (MGO)-equivalent, and was blended with conventional fossil-based MGO in a mix of 30 percent biofuel to 70 percent conventional MGO. This delivery saves over 50 tonnes of CO2, equivalent to the greenhouse gas emissions of approximately 125,000 miles driven by car, and sets the stage for further savings, driven by switching to this carbon neutral fuel. This is an important step in the decarbonization strategies of both BHP and NYK. NYK’s reduction targets for GHG emissions are 30 percent per ton-km by 2030 compared with a 2015 base year, and 50 percent per ton-km by 2050. BHP has worked with GoodFuels to explore the use of sustainable, advanced, second generation biofuels for shipping. A vital part of this is the inclusion of solutions to verify chains of custody, and that only sustainably produced biofuels are used in the process and that the origin, emission reductions and fuel quality metrics are traceable and transparent. This solution was provided by BLOC’s initiative Maritime Blockchain Labs and developed together in a consortium led by BLOC and funded by Lloyd’s Register Foundation. The consortium aims to create an inclusive support system that enhances marine fuel traceability and provides a clear chain of custody for better quality assurance in the bunker fuel supply chain.